It may just be me, but it looks like someone actually painted over that rat hole. It's hard to tell from the angle. 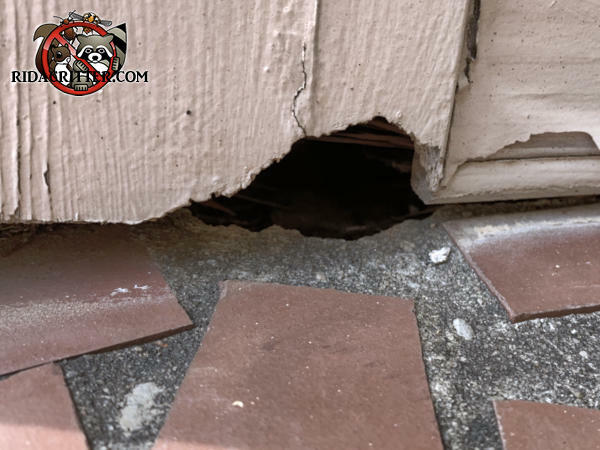 One way or the other, the rat was able to gnaw the hole because there was a little gap at the bottom of the wood that it could use as a starting point.